Keystone Ranch golf course homes are located along the Keystone Ranch golf course and the Keystone River course in Keystone, Colorado. Many of these 74 Keystone homes are also adjacent to the White River National Forest for easy access to hiking trails, snowshoeing and more. Keystone Ranch home owners also have a private clubhouse with an outdoor pool, hot tub and tennis courts. The 74 homes in Keystone Ranch were built between 1978 – 2012. The homes range in size from 2,060 – 6,856 square feet with anywhere from 2 to 6 bedrooms. These Keystone homes sit on lots sized from 0.08 – 0.41 acres. Many of these Keystone homes have views of not only the golf course but also Gore Range mountain views. You can find Keystone Ranch golf homes on Clover Lane, Gentian Road, Kinnikinnik Road, Wild Iris Lane, Paint Brush Lane, Phlox Lane, Saxifrage Lane, Lichen Lane, Yarrow Lane, Penstemon Road and Keystone Ranch Road. Below you can view all the homes for sale in Keystone Ranch including additional pictures, details and the new map search. 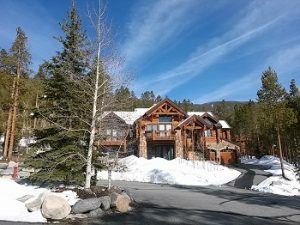 For additional questions about Keystone Ranch homes for sale, Keystone CO Real Estate or Summit County Real Estate contact Justin and Krystal Knott with Fuller Sotheby’s International Realty.